Century’s online customer payment portal simplifies the collections process for merchants and their customers by giving customers a convenient, secure way to view and pay off their invoices. Century Business Solutions, a leading merchant services provider, announced new features added to its customer payment portal today. The new features announced today include an option to add surcharge, an update for email notifications, and the ability to sync sales orders to the portal. Merchants can now apply a surcharge to their invoices. 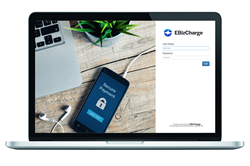 The surcharge is automatically calculated as a percentage of the total transaction amount and can act as a convenience fee to help merchants cover the costs of accepting credit card payments. The portal’s email notifications have also received an update. Previously, merchants were able to send email notifications to a single contact when an invoice was uploaded or updated, when an invoice neared its due date, or when an invoice was past due. With the new update, merchants can send notifications to multiple contacts—for example, multiple people in a single department, or multiple key contacts, ensuring that essential personnel receive the notification and take action. Finally, merchants can now sync sales orders between their ERP system and the customer payment portal. Merchants simply create a sales order in their ERP and sync it to the customer payment portal, reducing manual double data entry. With this new addition, merchants can now sync sales orders, invoices, items, and payments between their ERP and the portal.